My day typically starts at midnight. Wait, scratch that. My day continues at midnight because I have yet to take a break from the previous day for sleep. Sometimes sleep comes early and sometimes it barely appears until the wee hours of the morning when another competent adult can take over. I don't dwell on the lack of sleep like I used to. I have accepted the way things are. It's been almost a decade now. That's too long not to feel an acceptance of some kind. 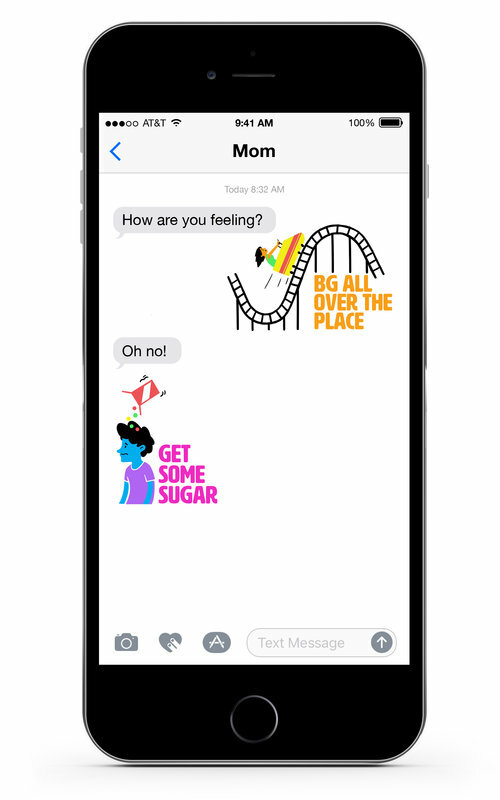 With so many years of T1d care, the slippery slope towards adulthood seems to loom a bit closer with each passing season. One day my girls will be off to college and well, no matter how messed up my sleep pattern is now, at least having the girls just a room away is better than miles or even hours away on a remote campus. Here's my 'follower app' view using the Dexcom Share on my iPhone with a recovery notice at 11:05 p.m. from a lower blood sugar at 90mg/dl. The number was so low that I didn't stop to take a picture until it after the danger had passed. 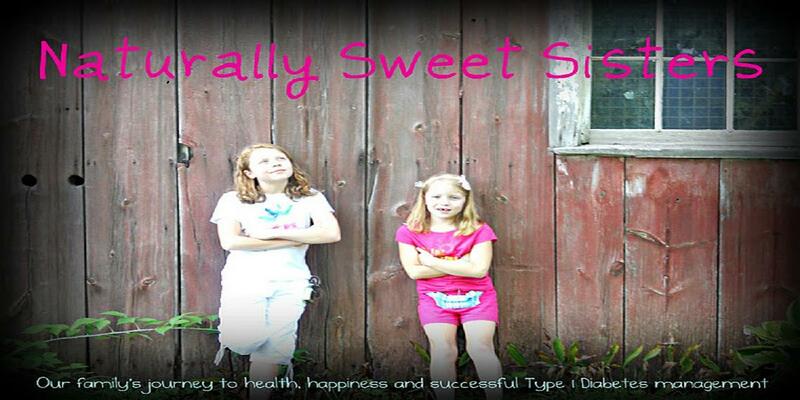 Currently, our youngest is sleeping with zero insulin entering her body. I'm awake until it is safe to resume. Conversely, that 210 mg/dl has been fairly consistent since dinner which is an indicator that if it happens again tomorrow night (because it happened the night before too!) that it might be working itself into a pattern that will require a boost of insulin prior to mealtime. Of course, dinner tonight kind of mucks that thought up because we ate pizza. There is nothing typical about a pizza dinner at our house. The proof is in the picture. 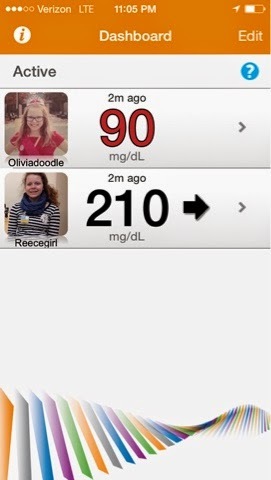 And now, as I am wrapping up on this blog post, you can see the most recent screen shot of the Dexcom Share. With insulin delivery suspended for about 45 minutes (and with listening to a multitude of reminder beeps to resume) I was finally able to quietly creep into our youngest daughter's bedroom and start her insulin drip. At the same time, I also opted to give an additional unit of insulin to our oldest as her numbers barely budged. Before you feel too much sympathy for me, please know that two special moments also occurred. The first happened as I was initially 'catching' the low blood sugar. Before I entered the bedroom, my oldest daughter was attending to her sister with a juice box in hand. Hearing the noise, she instinctively got up to make sure her sister was alright. Without a doubt, my girls are close. Tender is the word that would describe tonight and quite often, is the way that they interact over T1d. I am grateful for the connection that they share. Later as I reached in to gently re-start the insulin delivery on my youngest daughter's pump, she reached out with her eyes closed to hug me and hold my arm. I nuzzled her neck and hugged her back and for just a second, she was back to being a little baby in mama's arms, not an independent tween. Those stolen moments come mostly when it is late like tonight. 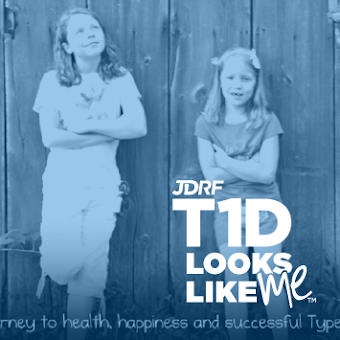 I feel lucky to catch them and I am not sure I would even have the opportunity with out the circumstance of T1d.